Our new Barn, inspired by the famous Star Barn in Lancaster PA, is grand in appearance and grand in quality! Little Cottage Company proudly presents their very own Star Barn! Inspired by a unique, historical structure of the same name in rural Pennsylvania, this replica barn features great attention. 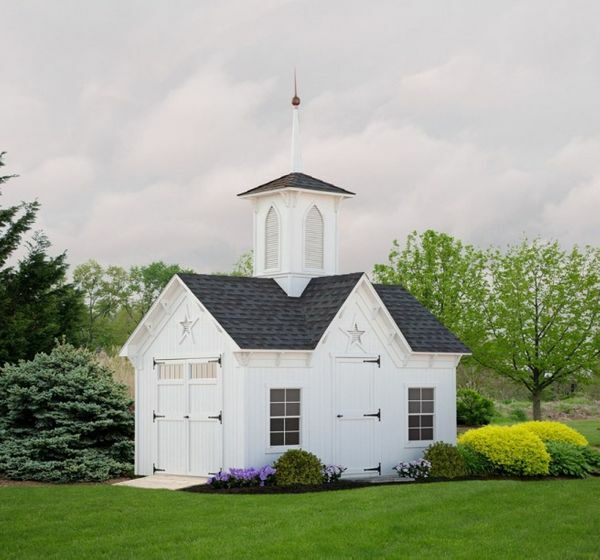 With two 30-inch by 36-inch windows, decorative colonial hinges, stars, and a grand cupola with a steeple, this iconic building is a historical tribute without requiring a road trip! Bring this replica to your outdoor space today and enjoy a little taste of history! Could this be made into a small house of around 225 to 300 square feet with small kitchen and bathroom? Assuming all electric/plumbing/kitchen and bath installations were done on site by the homeowner. Unfortunately we do not offer custom sizes and this would be the only one available. Thank you for your interest.